How Can I Benefit from Executive Coaching? Advisory Board Company | How Can I Benefit from Executive Coaching? 01 Oct How Can I Benefit from Executive Coaching? You’re researching executive coaching, but before you even start thinking about executive coaching fees, you want to know the benefits. Once you understand the benefits of executive coaching, you will realize that it’s well worth paying the fees. Take a look at some of the biggest benefits there are so you’ll have a better idea of why so many executives partner up with coaches. One of the biggest benefits of executive coaching has to do with self-awareness. Most people lack self-awareness, and that makes it difficult for them to manage their teams and grow their businesses. Executive coaches work on self-awareness right from the beginning. Your coach will help you find your strengths and weaknesses so it’s up to you if you will have a better understanding of who you are as an executive and a person. That alone makes all the exertive coaching fees you’ll pay well worth it. Most executives have some room for improvement when it comes to interpersonal skills. That even goes for the executives that get along well with their employees. It is hard to juggle an organization’s needs with managing employees, and your interpersonal skills can suffer. Your executive coach will help you improve those skills. That will improve your relationship with your employees, which, of course, will help you motivate and retain team members. It’s easy to get stuck in a rut as an executive. Every day can seem like the same old thing, and that makes it hard to come up with new ideas. Your executive coach will help you come up with new ideas that you can use for your business. You can brainstorm ideas and find ways to improve your business with the help of your coach. That will make your coach a valuable asset to your company as a whole. You might be surrounded by “yes” men and women. These people tell you yes, even when the answer should be no. Your executive coach won’t do that, though. He or she will give you an honest answer, no matter what. That means you can get a clear assessment of your business, your leadership, and your employees. Your executive coach will show you where you stand and what you need to do to move forward. This will give a much clearer idea of what needs to be done to run a profitable business. The work/life balance is one of the most difficult items on an executive’s plate. How do you give the proper time and attention to both? It might seem impossible, but you can do it with the help of an executive coach. Your coach will help you set your priorities and balance all the important things in your life. The coach might not be able to add more hours to the day, but he or she can teach you how to use those hours in the best way possible. Executives never stop thinking about what’s next, and your coach can help. Career planning is an important aspect of every executive’s life. Your coach will help you map out how to reach your career goals. He or she can also help you identify those goals if you aren’t sure about what you want to do next. With the help of your executive, you will have a clear map so you’ll know where to go and how to get there. A cloudy vision means you can’t possibly lead to the best of your ability. Your executive coach will help you clarify and expand your vision so it lines up with your organization’s goals. You will also learn how to articulate your vision when engaging with employees and colleagues. This will help you position yourself as a leader. You’re going to need to vent from time to time, but you should never do that with people inside of your office. You don’t want to seem as if you are constantly complaining. Fortunately, your executive coach will provide you with a safe and secure outlet. You can get things off your chest, and your coach will help you come up with solutions to your problems. Stress can get in the way of being a successful executive. It can also damage your health. Your coach will help you manage your stress and find ways to overcome it. He or she will also help you learn how to be more efficient, which will reduce your stress even more. An executive coach is an excellent resource to have by your side. 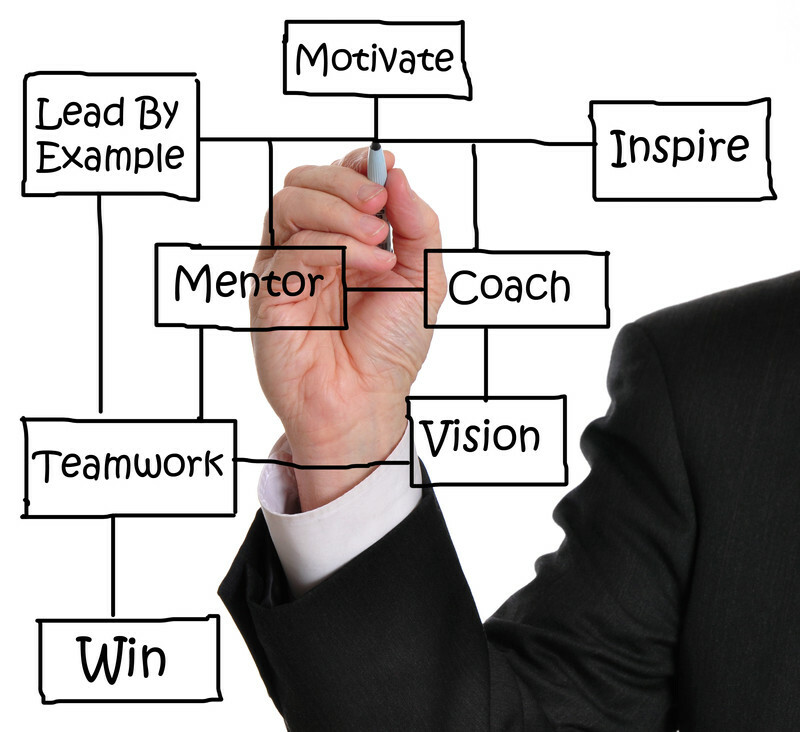 Your coach can help you become the type of executive you always dreamed of being. You will become a true leader with the help of your coach.